Give the gift that will remind your clients of the holiday season ahead. Our jade glass ornaments are available in a variety of shapes and sizes and are fully customizable. The product features ample space for your holiday message or logo. Ornament with the pointed top is also available with an optional four color process photograph imprint of your choice - adding further personalization. An elegant addition to any holiday tree or home. 3.75" x 3.5" x .125"
Product Highlights: Made of jade glass. 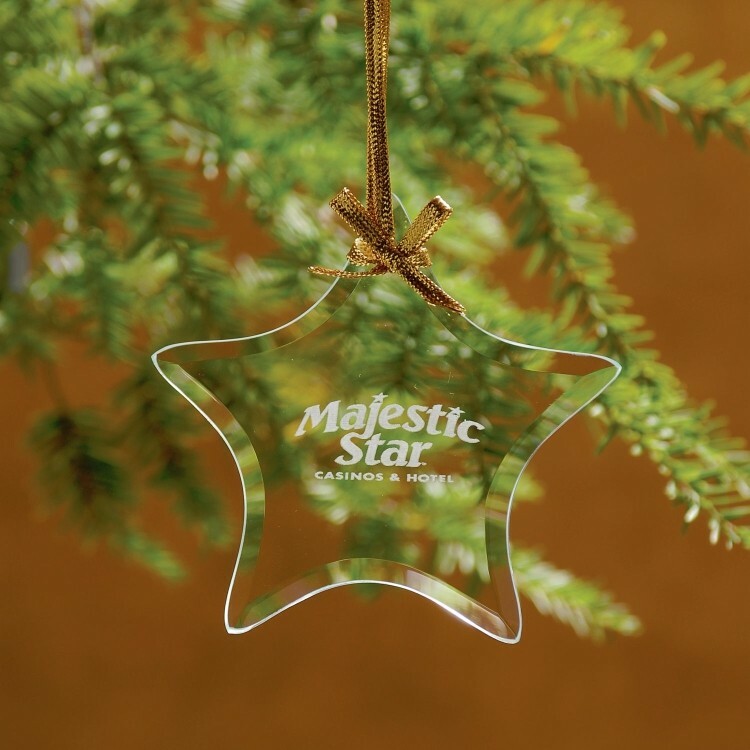 This star shaped ornament could be used for an award, gift, or simply as a decoration. Imprint Dimensions: 1.5" x 1"